Bosch, a leading global supplier of technology and services, sustains double-digit growth in the Philippines and announced that their geographical expansion in the country will continue. This was unveiled during their annual press conference in Manila on June 19. 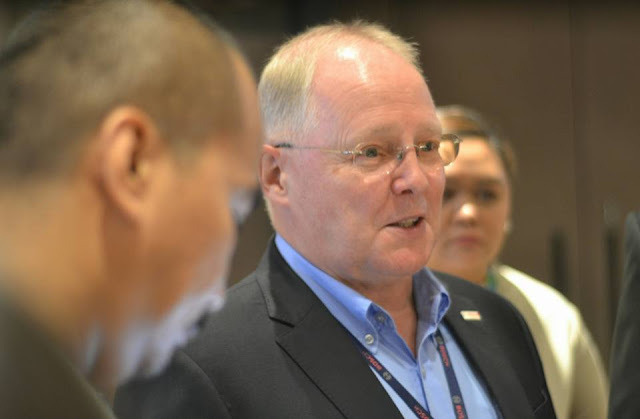 Bosch Philippines also announced their new leadership with the appointment of Richard Walker as the company’s new managing director effective July 1, 2017. 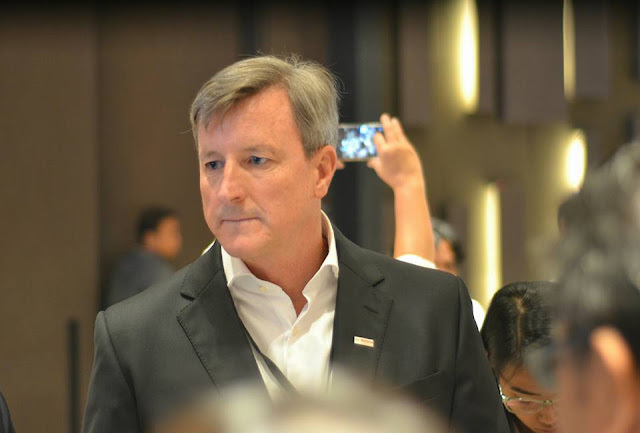 Walker has spanned a 20-year career with the Bosch Group in the company’s Mobility Solutions business sector,currently as Commercial Director for Bosch Emission Systems in the United States of America. Andrew Powell will be assuming a new role as managing director of Bosch in Indonesia on July 1, 2017. The company proudly revealed that they closed its 2016 fiscal year with USD 56 million (51 million euros) in consolidated sales in the Philippines. Compared to the previous year, the company achieved a growth of 13 percent. This momentum was driven by robust growth of the construction, automotive and manufacturing industries, and increased consumer spending power on the back of steady economic growth. “With double-digit business growth for the third consecutive year, the Philippines earns a bright spot in Southeast Asia as one of the best performing markets for Bosch. We continue to see many opportunities here,” said Andrew Powell, Managing Director of Bosch in the Philippines. The company’s headcount in the country grew by 16 percent to 530 associates over the course of 2016, due to the company’s expansion of its geographical footprint,as well as its product and solutions portfolio. In order to increase customer proximity, Bosch has continuously strengthened its footprint in the Philippines in the past years. 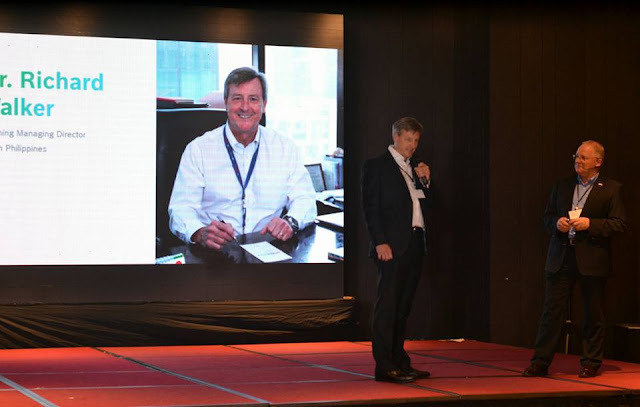 “We aim to continue our expansion efforts outside of Metro Manila to be within reach of our customers in key provincial areas, and we are already looking into potential new locations,” said Andrew Powell.In 2016, the company officially inaugurated its newest business hub in Cagayan de Oro (CDO)– its third outside of Metro Manila – to address the rapid development in the Mindanao region. It provides showroom, sales, training, and after-sales support for Bosch products and solutions across every business division that is present in the Philippines. As the Philippines’ third fastest-growing city, CDO’s vibrant manufacturing industry offers significant opportunities for Bosch to market its innovations to the local customers. Solutions from its Drive and Control division such as hydraulic drives and factory automation equipment under the Rexroth brand, as well as industrial boilers from its Thermotechnology division,are now accessible to CDO’s high density of factories and processing plants to enable greater production efficiencies in industries such as steel, cement, food, and shipping, among many others. 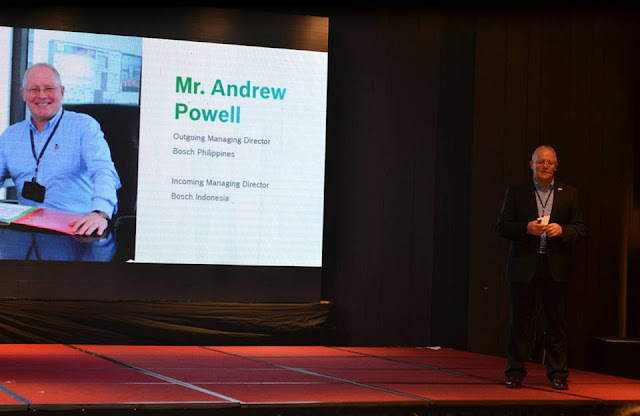 “In 2016, all Bosch business divisions present in the Philippines have developed strongly”, said Andrew Powell. Bosch Power Tools continued to be the company’s strongest contributor to sales in the Philippines. The division’s revenue was fueled by heavy demand for its Contractors’ Choice mid-price product range, as well as for cordless tools for both professional users and hobbyists. Launched in 2015, the Contractor’s Choice portfolio has been expanded from seven to 11 models and experienced a very strong performance. The introduction of new tools for woodworking is scheduled for 2017. The Cordless Tools range continues to see significant opportunities with the launch of its 12-volt models to aid conversion to cordless tools. In line with its one-battery-fits-all concept, plans to extend entry-level models in the 18-volt product range are underway in 2017. The Power Tools division also expanded its online retail presence in Lazada through the introduction of exclusive products such as the Bosch electrician kit, and partnership with leading market vendors. The Automotive Aftermarket division achieved a double-digit increase in sales, making 2016 its strongest year yet. The division’s growth is attributed to its “parts, bytes, services” philosophy, offering automotive technology with services, based on its network of 85 Bosch Car Service and Bosch Diesel Service workshops across the Philippines. It also intensified its drive to offer solutions for the Filipino on-the-go, with the opening of Express Car Service workshops nationwide. Committed to bringing more products and services closer to the market, particularly in Visayas and Mindanao, the division continues to strengthen its distribution network across the Philippines. The Security Systems division experienced moderate growth in 2016, with communication systems being the major growth contributor. The division launched X2 – a high-performance, compact vertical line-array loudspeaker system, ideal for large indoor and outdoor staging due to its power to maintain audio quality in vast ranges. It is part of the new family of line-array loudspeakers called X-Line Advance, which was a result of rigorous R&D, and represents a dynamic step forward in line-array loudspeaker system design.Overall growth in the division was also attributed to exclusive projects for key property developers across the Philippines, as well as notable projects such as the Iglesia ni Cristo (INC) Stadium, where Electro-Voice line-array speakers. Buoyed by investor confidence in the country’s manufacturing sector, the Thermotechnology division was awarded long-term contracts to provide industrial boilers for processing plants of large multinational companies in the nutrition and beverage industries. The division also established a new service and distribution partner to enhance local market coverage. There are approximately 63,000 reported road traffic deaths each year in ASEAN. According to the World Health Organisation, the reported numbers do not represent the real magnitude of the road safety problem in ASEAN. It is estimated that the actual number of road traffic fatalities lies at around 116,000 per year due either to inaccurate data or undocumented accidents. Within our region, there is considerable variation in fatality rates between the individual countries. Singapore has one of the fewest traffic-related deaths worldwide, followed by the Philippines with approximately 10.5 deaths in every 100,000. “Our thrust at Bosch is to actively shape change. As we approach the culmination of the United Nation’s Decade of Action for Road Safety in 2020, we have made the advancement of vehicle safety standards one of our key advocates in the Philippines for 2017.” As an automotive supplier, Bosch believes that one of the most substantial impacts the automotive industry can make is to produce safer vehicles equipped with modern safety systems. Given the proven effectiveness of active safety technologies, Bosch recommends higher safety standards within the region. Active safety systems are technologies that prevent or minimize the incidence of road accidents, such as Anti-lock Braking Systems (ABS) or Electronic Stability Programs (ESP®). In 2016, for example, Bosch introduced ABS for small 2-wheeler vehicles – an ideal development in Southeast Asia for markets like the Philippines, where small motorcycles are most common. For 2017, in light of a subdued economic outlook and geopolitical uncertainty, Bosch aims to achieve sales growth of between three and five percent. And despite still heavy upfront investments in safeguarding the company’s future, results are set to rise. “Business success today gives us the leeway to shape tomorrow’s world,” said Dr. Volkmar Denner, Chairman of the Bosch Board of Management. “As an innovation leader, we are shaping and driving transformation,” Denner added. The focal points of this transformation are changes in the mobility sphere and IoT connectivity. By 2020, all Bosch’s new electronic products will feature connectivity. The key to this is artificial intelligence (AI). Over the next five years, Bosch will be investing 300 million euros in its own center for artificial intelligence. In Asia Pacific, Bosch recorded a hefty 8.3 percent increase in sales in 2016 to 20.8 billion euros (exchange rate adjusted +12 percent). Bosch now generates 28 percent of its total sales revenue in Asia Pacific compared to 27 percent in the previous year. A person necessarily help to make seriously posts I would state. This is the very first time I frequented your web page and thus far? I surprised with the analysis you made to make this actual submit amazing. Excellent activity!